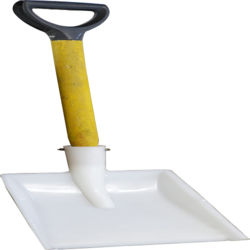 GOKUL PP Showel For Chemical Powder, 1 PICE, Size/Dimension: 12" - 9"
Kailash Poly Plast is one of the leading manufacturer & suppliers of PP Shovel in India. We provide showels that all are very easy to handle and use. We offer showel, at the most affordable price. 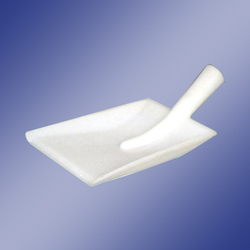 To furnish the varied needs of our customers, we are highly immersed in providing a wide variety of Plastic Shovel. Additionally. offered range is tested by our quality auditors against a range of quality parameters. To meet the various requirements of the customers, we are involved in offering a wide assortment of Plastic Handle Shovel. Plastic Shovel can be made of Industrial Engineering Plastics such as food grade Plastic , pharmasuitical plastics , chemical resistance plastic , oil field plastics etc . We are engaged in manufacturing a wide range of plastic shovels.